This year we took a new batch of students to experience BIF, whose format features a wide variety of innovative and influential people joining together to talk and learn through storytellers and reflection on their messages. This year, there were a total of 33 storytellers including our own E360 alum, Taliq Tillman. Much like the diversity of interest and passions of our Met students, the speakers at BIF addressed a wide array of topics, ranging from non-violence and white supremacy, self identity and finding courage, a mother and her Autistic son who expresses himself through art, Trinity Repertory and its amazing history, jazz as a metaphor for living a full life, and many other struggles and successes. One of the speakers was particularly impressive to the E-Center; Taliq Tillman (E360 alumni) closed out the conference on day one by being the youngest storyteller of the day. He talked about his past, and his culture and growing up in Providence and the differences between an urban neighborhood, to a more suburban/”white” neighborhood. Since being at The Met, Taliq has spent his sophomore year with us at the E-center creating a business surrounding his love for photography- Taliq Tillman Imagery which focuses on portraits and events. Since participating in E360, Taliq has continued to build his entrepreneurial skills and applying what he learned to create a new start-up, Diversity Talks. Diversity Talks’ mission statement says “Diversity Talks aims to foster a healing space for students and educators to have culturally relevant conversations in the classroom”. He also is the Communications Manager for Cep Journal, a bi-annual fashion and lifestyle publication platform based in New York City. Taliq has made many connections in the last few days since his speech and has already flown out to Montana to speak at another event. 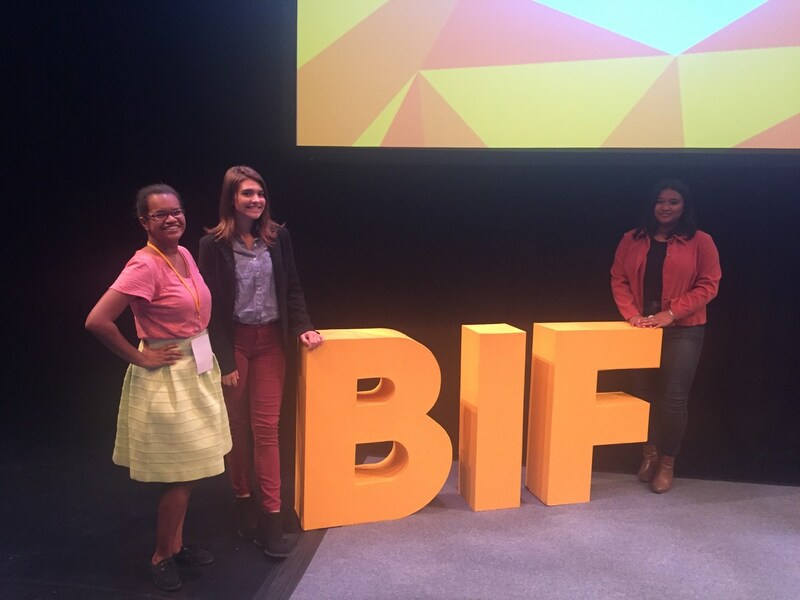 Taliq, and others, have given us a perfect example of why we take advantage of our opportunities such as BIF. We will return next year, with a bigger picture of business, innovation, and creativity.